When the landscape in Western Montana transforms with autumn’s hues and you can see as far as the eye can see, the view is vast and vibrant. Like spring, fall in Glacier Country is an undiscovered season of beauty and adventure. In fact, it’s one of the loveliest times to visit. Brilliant shades of gold, orange, yellow and red pop against deep browns, blue skies and snowcapped peaks. This tapestry of colors, plus cooler temperatures for hiking and biking, fall fly-fishing, shoulder season prices and small towns that bustle all year long, make Glacier Country’s autumn a time to discover. Mark your calendars for mid-September through early October to find our peak golden season. Because Glacier Country is a pretty big place, there are numerous ways to take in the abundant colors of fall in Montana. Topping the list: Glacier National Park, the Bitterroot, Kootenai Falls in Libby, the Seeley-Swan Valley and Missoula. Park visitation quiets down this time of year, making it one of the most peaceful times to visit the Crown of the Continent, where stunning views are made even more vibrant with the colors of fall. We like to welcome autumn with various fall events like the Scarecrow Festival in Stevensville and Great Northwest Oktoberfest in Whitefish. Western Montana is home to 20+ breweries, each serving up a distinct taste of Montana. With countless rivers and lakes carving their way through Glacier Country, spending some time on the water can provide a different vantage point for viewing Montana’s fall foliage. For an up-close look, take a stand-up paddleboard to the waters of Lake McDonald, paddle a kayak along the Clearwater Canoe Trail or take a guided boat tour on Flathead Lake. Fall is one of the best times to fly-fish the rivers of Western Montana, particularly Rock Creek, the Blackfoot River, Bitterroot River and the Middle Fork of the Flathead River. 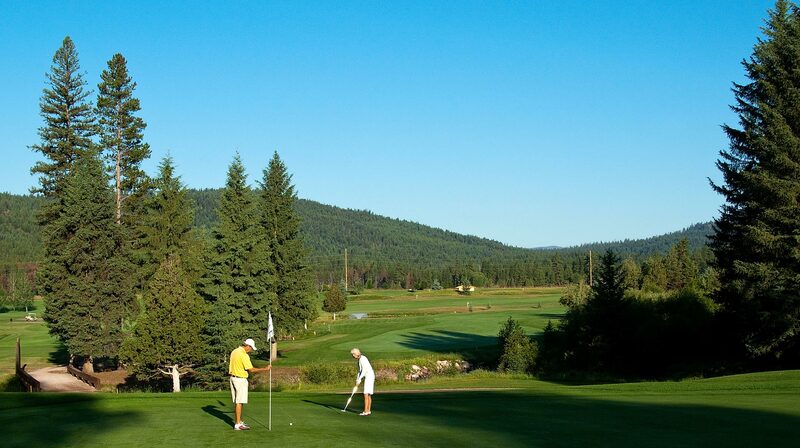 Montana’s Glacier Country is home to 28 golf courses—ranging from lake-view to mountain terrain—each designed to take advantage of its pristine surroundings, including the changing colors of tamarack trees and snowcapped peaks. 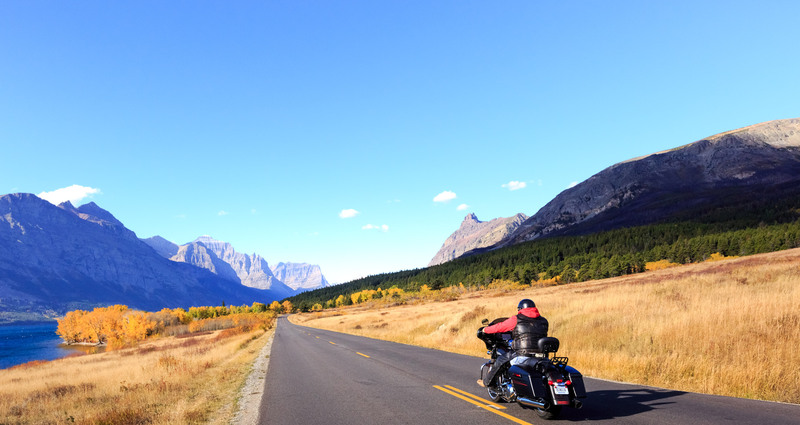 With scenery that varies from river valleys to jagged peaks, traveling along Montana’s scenic byways in the fall is a sure bet for viewing the foliage. There are plenty of places to view wildlife (from a safe distance) in Montana's Glacier Country. Areas of note include Glacier National Park, the Lee Metcalf National Wildlife Refuge and the National Bison Range. 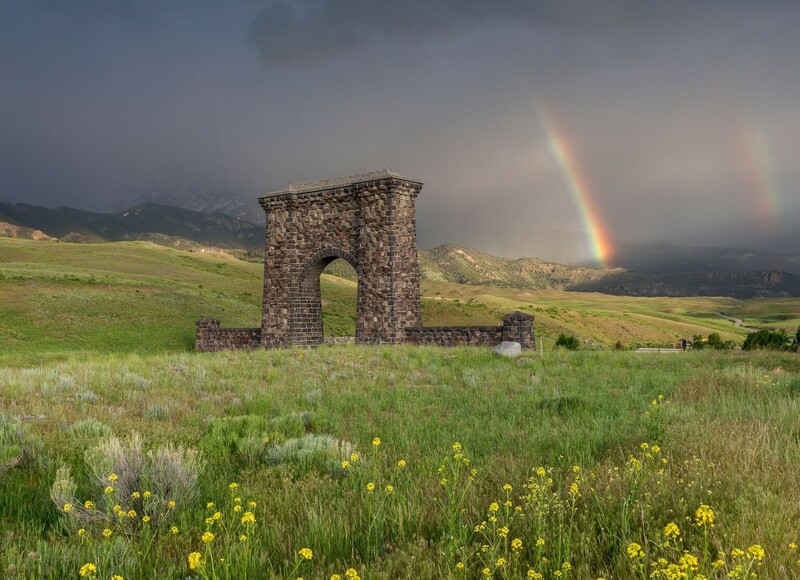 Western Montana’s lush valleys are surrounded by many mountain ranges, making it an ideal place to spend time exploring our hiking and biking trails. Recommended trails for viewing fall colors include The Whitefish Trail, the mountain bike trails at Whitefish Mountain Resort, Glacier National Park’s Going-to-the-Sun Road and Blue Mountain Recreation Area near Missoula.